Speed Queen has been around since 1908 and has been manufacture washing machines for domestic and professional use for over 100 years. All our product lines have one common denominator: a passion for innovation and the quality of the materials used in their construction. Whether you are a hotel manager, the owner of a laundromat, a student or a parent, we offer a unique experience: a perfect wash in record time, this is our aim, one of which we never lose sight. ALS group includes some of the biggest brands of professional washing machine in the world, including Speed Queen, specialist in professional washing machines for self-service Launderettes. With a view to constant innovation, ALS has opened a research center in eastern Europe, where the durability of our machines is tested and improved each year. 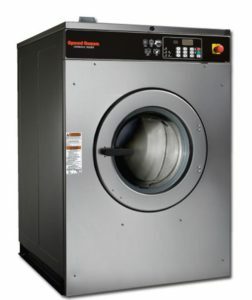 For prospective laundromat owners, Speed Queen offers a dozen models of industrial washing machine. Load capacities range from 7 to 28 kg, depending on the model. Some washing machines are rigid base; others have a suspension system to absorb the force generated by spinning (extraction force of up to 400G). This way, wash cycles are faster. Dryers can be either stacked or built-in to the washing machine to save floor space. Speed Queen’s use of top quality materials and careful assembly ensure their machines last for thousands of cycles. Recent Speed Queen models use less water, less detergent and less energy, which extends their lifespan even further whilst reducing service costs. New Speed Queen washing machines generate two to three times less noise than the previous lines, which were already very silent. As for the design of Speed Queen washing machines, they are intended to be intuitive to use for an improved customer experience. Speed Queen is not only a manufacturer of professional machines. The same quality is available in our domestic washing machines, leading Speed Queen to win the Women’s Choice Award in 2017, for the 4th consecutive year. In the United States, Speed ​​Queen has been part of popular culture for decades: it is not uncommon to find domestic washing machines that are more than 30 years old, in American households. Speed Queen stands out amongst all the other laundry brands for the robustness of its machines but it is also the only make in the sector to equip its laundromats with its own machines: all the other brands buy their machines from external manufacturers. When you enter a Speed Queen laundry, you can be certain of a service that is 100% Speed Queen. 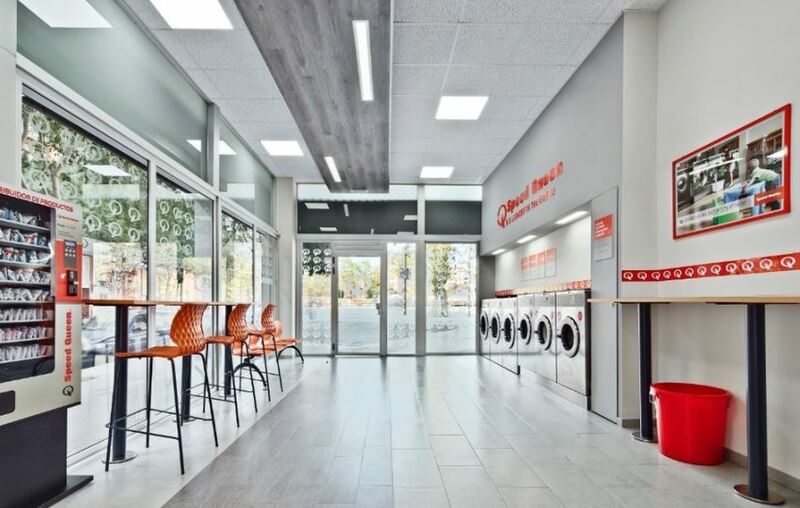 For more information on the Speed Queen laundry concept, see the page Opening a laundromat. If you want more information about our machines, contact us directly.